Product #46571 | SKU PTH-860/K1-C | 0.0 (no ratings yet) Thanks for your rating! Connect to your Mac or Windows PC with USB or built-in Bluetooth, install drivers, and you're ready to start work directly in the software of your choice. The ultra-responsive Wacom Pro Pen 2 connects you to your creative work like never before. 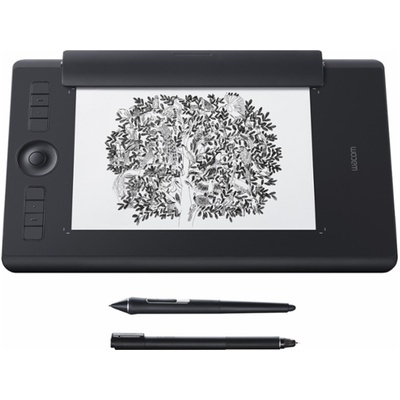 Quality materials and compact design give you the perfect drawing space.